Sweet darling Lyndsay and Sarah started The Blog Guidebook as a resource to help the blogging community get its groove on. I recently discovered this awesome resource and wanted to share it with all of you. Just this month, they launched a new Blog Club and I signed on. A small group of 5-6 bloggers are hooked up to form a group with the idea that fellow club members will consistently read and follow each others blogs. Honest feedback and idea sharing is encouraged, and no doubt friendships will be born. Here are the links to the fabulous ladies whom I have been connected with. At the Bargain Hoot, Rene shares her tips for bargains, DIY decor, recipes, craftings and weddings and events. The Bargain Hoot has lovely photos, great ideas for simple projects and recipes, and easy money saving tips. 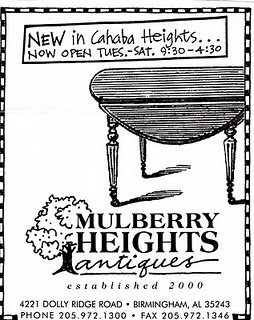 Carolyn is the proprietor of Mulberry Heights Antiques in Alabama. Her blog, It Doesn't Fall From the Tree, provides inspiration for home decor and antiques. 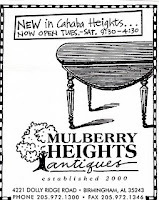 I love antiques and the stories they tell - can't wait to explore Mulberry Heights. Nicola is from the UK and has a lovely etsy shop featuring hand-knit creations. Life on Orchard Road will draw you into her world and every day loves. Diane at Sweet European Dreams shares vintage and kitchy collectibles from Europe. You'll be begging your grandmother for her treasures after visiting Sweet European Dreams. Dawn is a certified health and wellness coach. At Dawn Dishes It Out you will find healthy recipes and lifestyle tips. I'm anxious to try out some of her recipes already - who knew you could make chocolate pudding with avocados?! 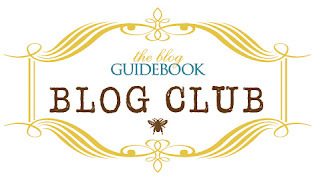 I'm lovin' The Blog Guidebook's Blog Club and my new blogging buddies! Welcome Ladies to Footprints From Otter Hill! Perhaps one day we will all be sitting together enjoying a glass of wine and Puget Sound oysters here on my deck on Marrowstone Island! Cheers! What a fabulous introduction to each other! This was very informative to me! I am so looking forward to getting to know each of our members. I would certainly take you up on the invitation as well!! I've always wanted to see that part of our country. I also love the verse from Proverbs...it is very appropriate for what we are trying to accomplish. Hope you are having a wonderful Sunday. What a great post! I look forward to getting to know you all. Thank you for sharing this at Tidy Mom! Thanks for the lovely email introducing yourself.